The deserted ruins of this once-bustling town are nestled against the Taurus Mountains, close to the world-famous beaches and yacht-filled harbor at Olu Deniz. Although the stone buildings are roofless and weathered and the narrow streets worn with age, this is not an ancient city, but a modern ruin deserted for political reasons in the 1920s. 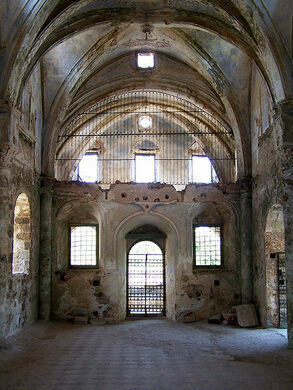 In Lycian times, the town was known as Karmilassos. When the Greeks occupied it, they changed its name to Levissi. The first mention of Levissi dates back to the 14th century and it belongs to Sanudo, an Italian traveler. Originally built in the 1700s, the town called Karmylassos in Greek was home to as many as 20,000 Greek Orthodox residents by the early twentieth century. The messy fallout of World War I and the collapse of the Ottoman Empire led to the land grabs of the Greco-Turkish War (1919–1922). The resounding loss of the Greeks in this war ended with violence and retribution, which was often aimed at the remaining Greek Orthodox community within the new Turkish borders, and in turn, against the Muslim Turks in Greece. Hundreds of thousands of Greeks fled the violence in Turkey, which led the governments to agree to a mutual compulsory population exchange starting in 1923 in order to staunch the bloodshed. 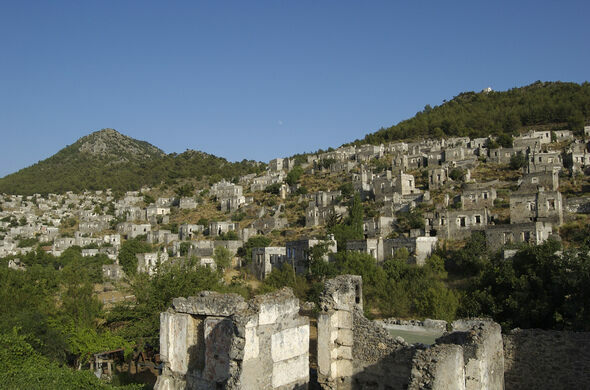 The residents of Kayakoy, who had thus far lived peacefully with their Turkish neighbors, abandoned the town and went to Greece, which was struggling to find places for the nearly 200,000 refugees of the exchange, added to the more than a million former Turkish residents who had fled before the official exchange. Over 300,000 Turks were forcibly removed from Greece to a war-ravaged, but land-rich, Turkey in exchange. The polar explorer and Nobel Prize-winning Norwegian scientist Fridtjof Nansen was assigned the task of organizing the exchange. 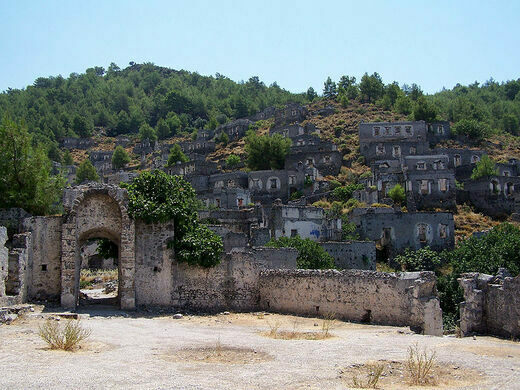 In Kayakoy, approximately 350 homes now sit empty and mostly roofless, along with two Greek Orthodox churches and the fountains and cisterns that watered the city. Harsh winters and strong winds have stripped the buildings down to ruins, making the town look ancient. A private museum tells the story of the town. The book Birds Without Wings by Louis de Bernieres is set in a fictionalized version of Karakoy during WWI and the last days of the Ottoman Empire. 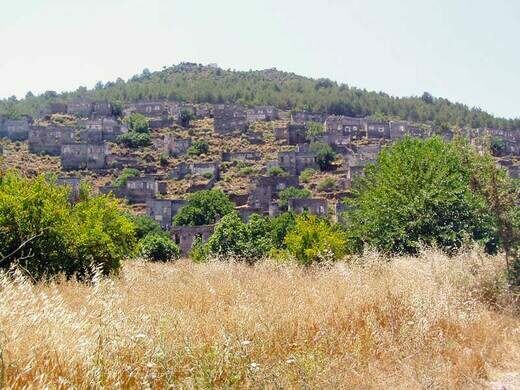 Kayaköy was adopted by the UNESCO as a World Friendship and Peace Village. The closest airport is Dalaman. 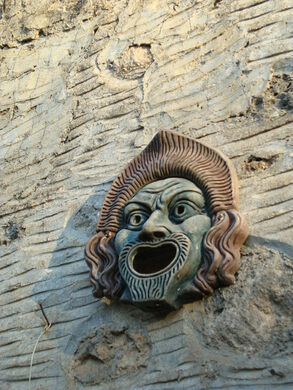 The village is a short drive from Oludeniz, or a 2 1/2 hour walk along a marked mountain path.